Sunscreen is a MUST year-round, but it’s especially important to wear it during the summer months. As someone who never tans, I never leave the house without applying sunscreen. I can go from pasty white to lobster red in a matter of hours. We plan to spend time at the many local beaches in our area and you can bet that sunscreen will be in my beach bag. One annoying thing about wearing sunscreen at the beach is having sand stick to your skin. Ever try to get sand their off your body after you apply sunscreen? It’s not as easy as it sounds. 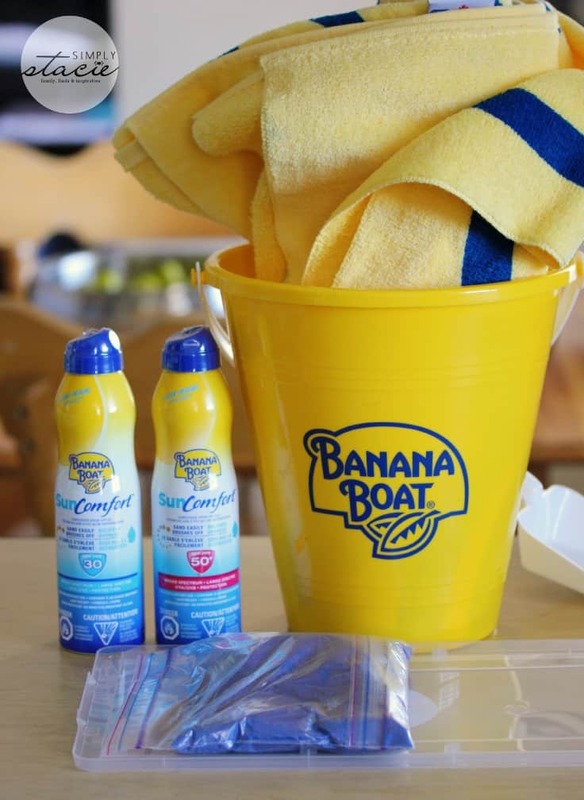 Banana Boat has introduced their new Banana Boat SunComfort Sunscreen Spray to tackle this issue and invited me to take the Banana Boat SunComfort Sand Challenge. Was I up for the challenge? Of course! I also received a nice beach towel and pail and shovel perfect for the beach. Step 1. 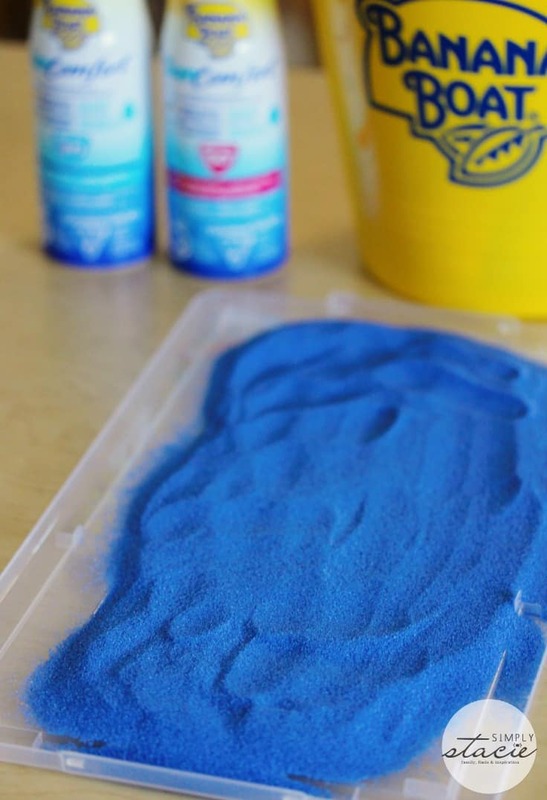 Using the lid of the container, spread sand out in an even single layer. Step 2. Apply a layer of Banana Boat SunComfort Sunscreen Spray to your left forearm and rub in. Wait a couple minutes for it to dry. Step 3. Apply a layer of a competitor’s sunscreen to your right forearm and rub in. Wait a couple minutes for it to dry. Step 4. Using one arm at a time, press each of your forearms into the sand. Step 5. 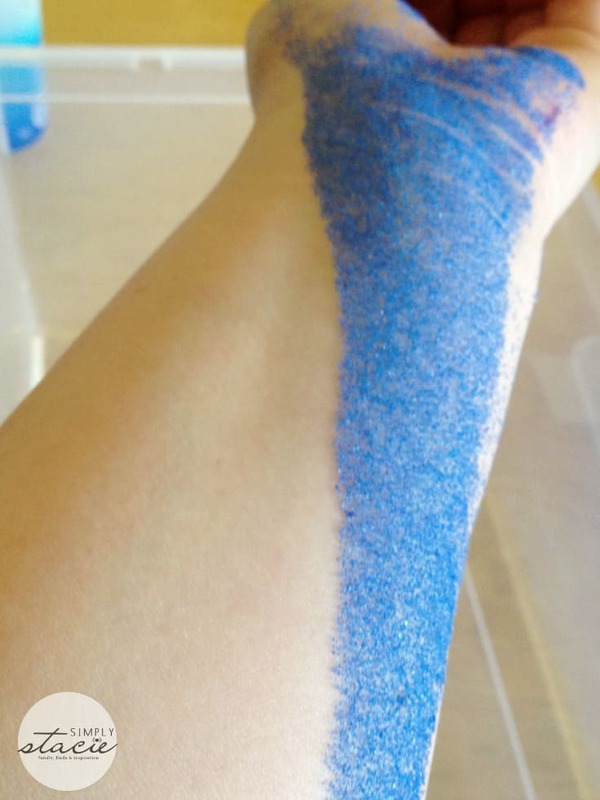 One arm at a time, use your hand to wipe away the sand on your arm into the container. 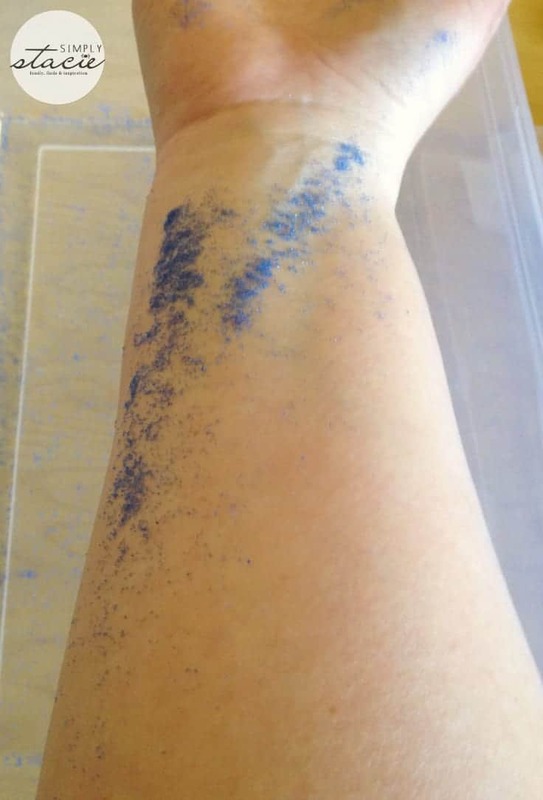 I took photos of what happened with each arm after I wiped off the sand. 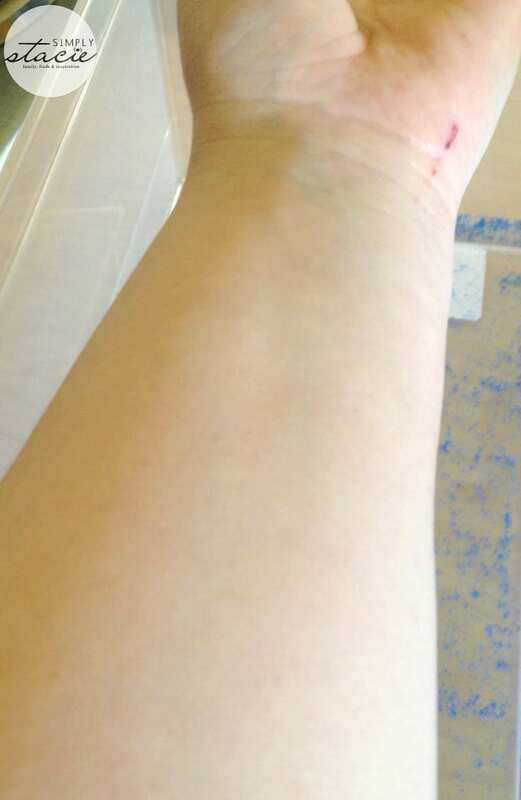 This arm had Banana Boat SunComfort Sunscreen Spray on it. This arm had the competitor’s sunscreen. Notice the difference? The arm with Banana Boat SunComfort Sunscreen Spray didn’t have a speck of sand on it while the other arm had sand that wouldn’t easily brush off. Banana Boat for the win in this challenge! This is the sunscreen I want with me at the beach. No more sticky sandy mess! 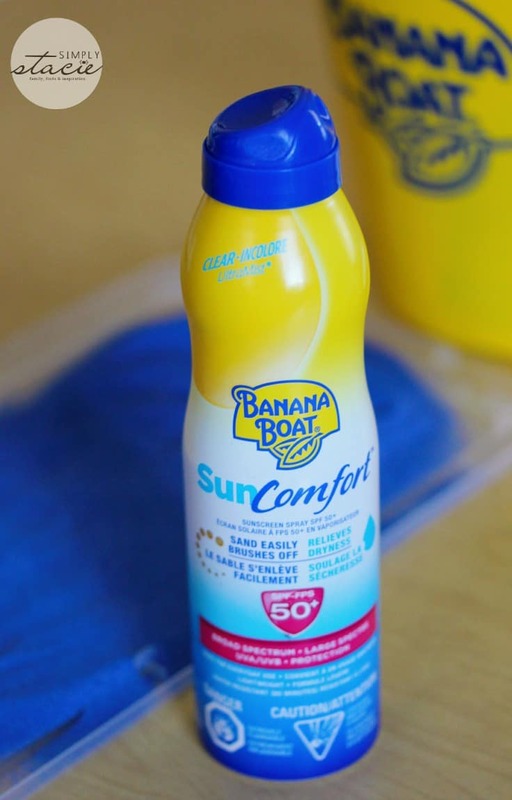 Banana Boat SunComfort Sunscreen Spray is the only sunscreen that you can spray on, go in the sand and it will flick off your skin with barely any effort. It’s available in SPF 30 and SPF 50+. In addition to sand easily brushing off your skin, it also helps to relieve dryness and is water resistant (80 minutes). It’s also good for everyday use. I liked that it wasn’t greasy and easily absorbed into my skin very quickly. 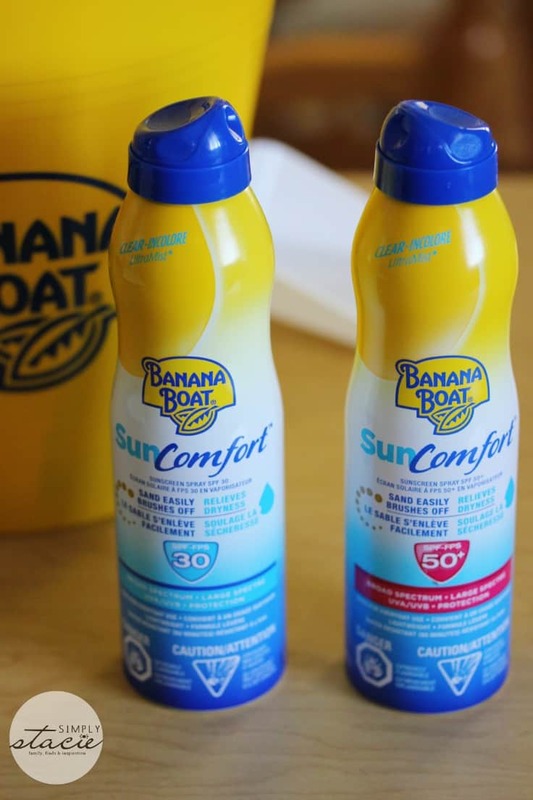 Pick up Banana Boat SunComfort Sunscreen Spray before you hit the beach this summer. It’s available in most major retailers across Canada and has a SRP of $9.99. This summer don’t let sand get in your way of fun at the beach. I plan to be protected from the sun and sand-free! Connect with Banana Boat on Twitter. The pictures caught my eye first because of the bright blue, and thought that was the way one of their new sunscreens applied! LOL. I hate the stickiness of some sunscreens. Great challenge. I have been using Banana Boat for about 25 year or more since I first used it in Hawaii, it’s amazing! What a great Banana boat product! Will be great for the summer beach days ahead! thank you for the review! I am so surprised at well it worked with the sand sticking, I love that. I hate when the sand get all sticky with the sunscreen. Thanks for this! With 3 boys sand has always been an issue. This will make beach trips so much easier and enjoyable for all of us! Finally! I was tired of sand sticking to me wherever I had applied sunscreen. Thanks for the review.